Whether you need to increase productivity, maximize manpower, improve safety, optimize use of space, or enhance the way materials move through your operation, A-Lined can create the right solution for you. 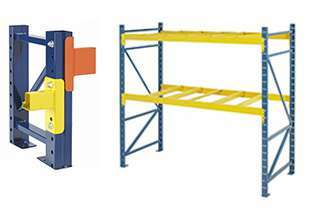 We supply quality pallet racks, carton flow racks, industrial shelving and decking. 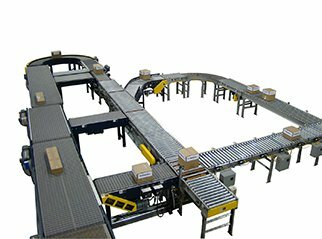 Conveyors are used for the transportation of products and materials horizontally, vertically or on an incline, from one location to another. 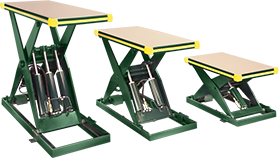 Lift tables are used to raise and lower product, equipment, materials or operators, allowing improved ergonomic access or movement between levels. 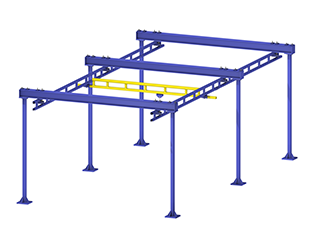 We can provide an elevated mezzanine system to utilize wasted overhead space for additional working area, storage, or to support plant equipment or machinery, freeing up valuable floor space. We supply a full range of cranes to help seamlessly glide your objects from one location to another. Our cranes can be mounted on the ceiling, wall or stand alone to ensure they fit your business needs. Don't let your working site become hazardous for your employees. Make sure you are equipped with latest in safety products. 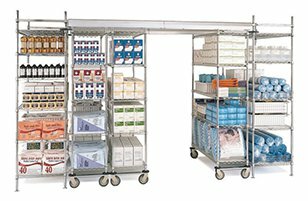 We can supply a vertical lift to convey pallets, carts, or cartons and to automate the movement of materials from one floor level to another. 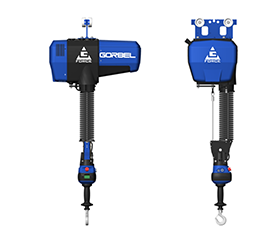 A-Lined Handling Systems offers a wide range of hoists, Intelligent Lifting Devices, vacuum systems and manipulators to lift and move all things. 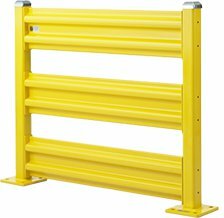 A-Lined Handling Systems offer the highest quality equipment to move, hold, store, transport, protect and provide a safe work environment. 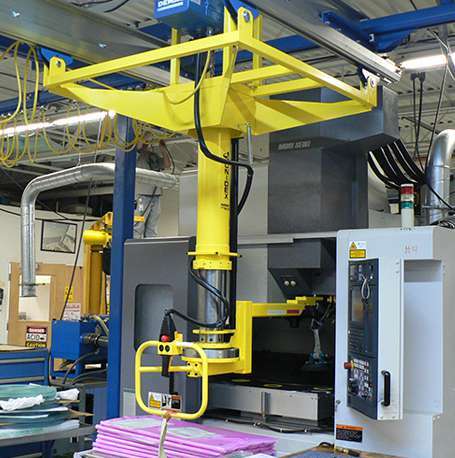 A-Lined Handling Systems, Inc. is a material handling systems integrator emphasizing turnkey services. Whether you need to increase productivity, maximize manpower, improve safety, optimize use of space, or enhance the way materials move through your operation, A-Lined can create the right solution for you. As systems integrators, we assist our customers with concept consulting, equipment specification, on-site project management, and system start up. We work to achieve a complete hands-on understanding of each customer's application, then design the most appropriate solution. With our continually updated product line and vast experience in systems integration, A-Lined can meet your material handling needs, today and in the future.